Could that have been the bottom? Countless crypto-enthusiasts and traders are asking themselves if the prices that were experienced the past week were the lowest that the digital currency assets against the US Dollar will be touching. All the leading coins did plunge throughout the violent sellout breaking below many important supporting levels with no stop. 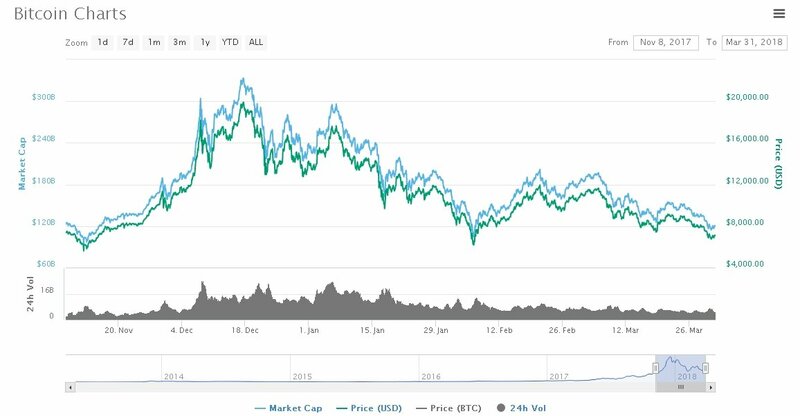 Bitcoin [BTC] – the leading crypto with a market capitalization of $120 billion [per all-time high $333 bil] broke below the $7,000 for a day now, which has happened only once since November 12 2017. The pair BTC/USD is trading at $7,081.49 per time of writing with 4.15 percent positive change [24h] while Ethereum follows in the same manner making it above the major $400.00 level [$403.11] with 6.47 percent increase in the last 24-hours. The third largest and very famous for having a unique marketing strategy Ripple is battling hard to keep its head above the $0.5100 level and not declining lower. As long as the above mentioned marks are not cleared out again and the buyers can hold position against bears for a couple of days, a reversal on prices could take place within a short time. At the time of the announcement [and our team writings] Stellar XLM/USD was trading just above 4% increase for the last 24-hours. However, as prices in a global-scale did break below important supports [BTC $6,740] traders used the opportunity to step in and turned Saturday a very welcoming mark on the week for the community. Now Stellar XLM is trading at $0.2136 with 16.02% upward movement in the last day. 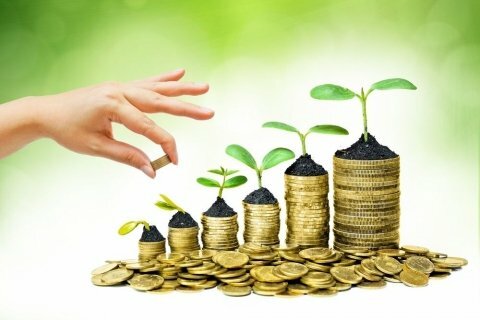 A boost in confidence was given birth by Abra’s CEO Bill Barhydt towards the community as he believes strongly in the bulls to return in the near future and the same end of 2017 hype of crypto to be present again. The reason to support his opinion is that billion-dollar hedge funds and institutional investor have still not stepped in but did decide that the asset is very worth investing and their time.